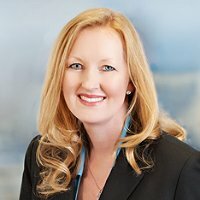 Jennifer Green joined DeHay & Elliston, L.L.P. in December 2006 as an Associate, and became a Partner in January 2011. She has been practicing law since 2000, and is currently licensed to practice law in Texas, Mississippi, California, Illinois and New York. Ms. Green received her Bachelor of Science degree in Political Science, with honors, from Texas A&M University and received her Juris Doctorate, with honors, from Texas Tech University School of Law. She was a Texas Tech University Regents Scholar and was Vice Chair of Client Counseling for the Texas Tech University School of Law Board of Barristers. Jennifer was named a Super Lawyers: Rising Star in 2014 and 2015.